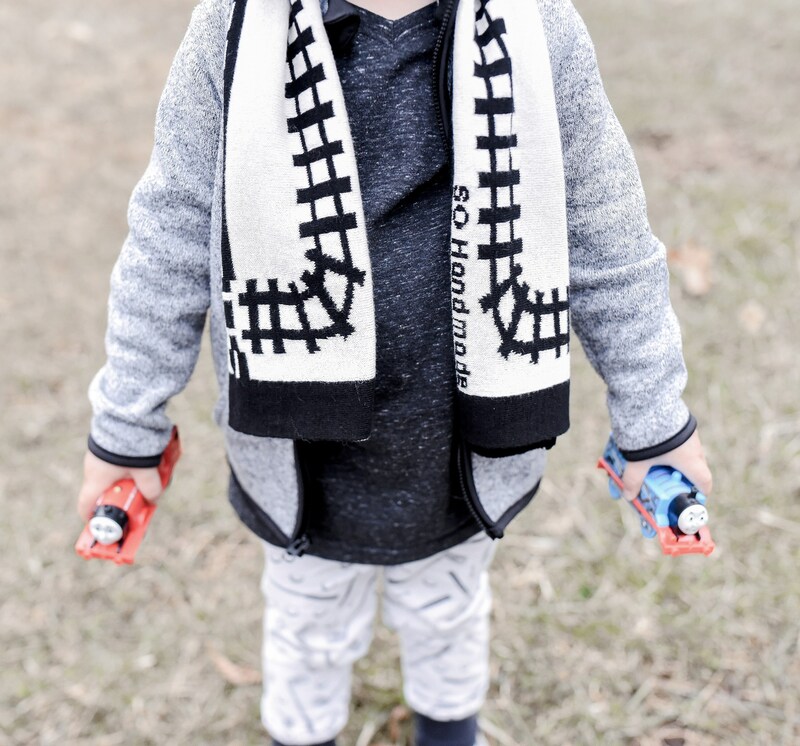 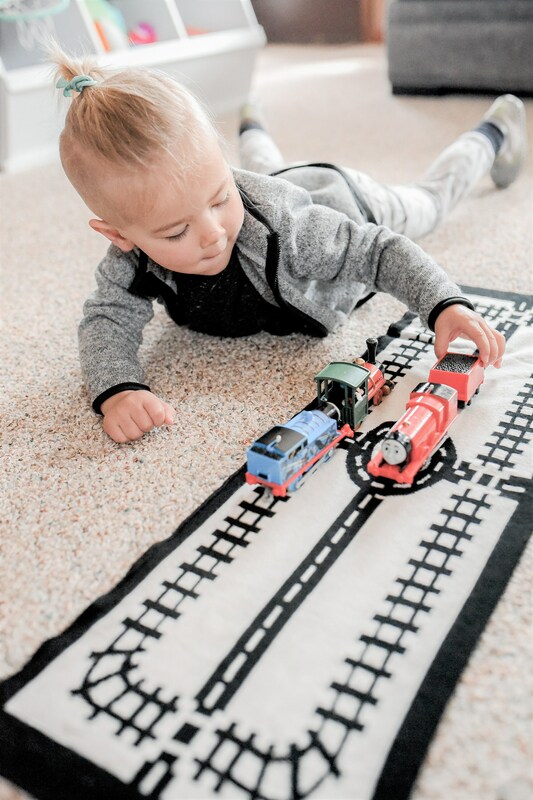 It can keep your little one warm and cozy as well as looking super cool. 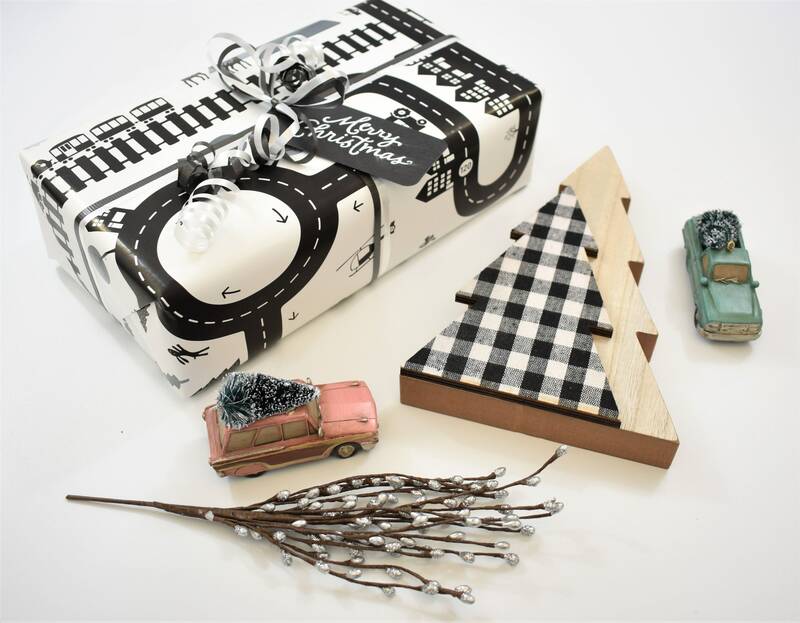 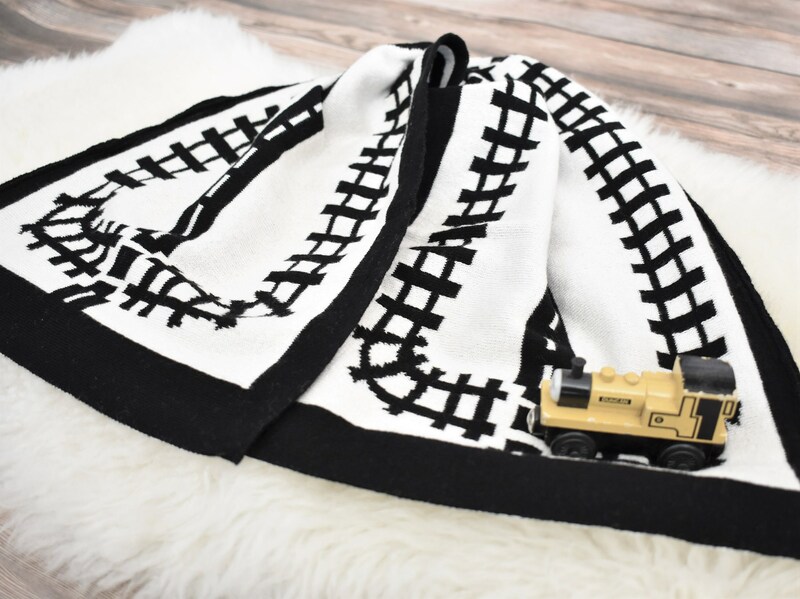 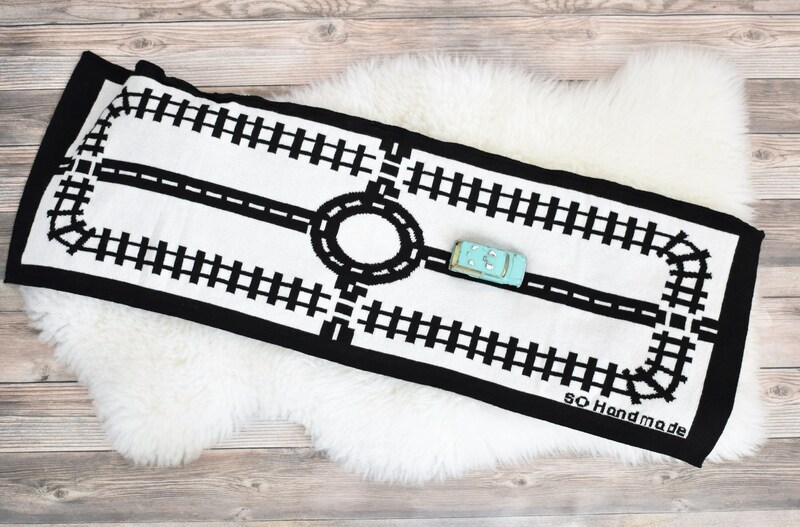 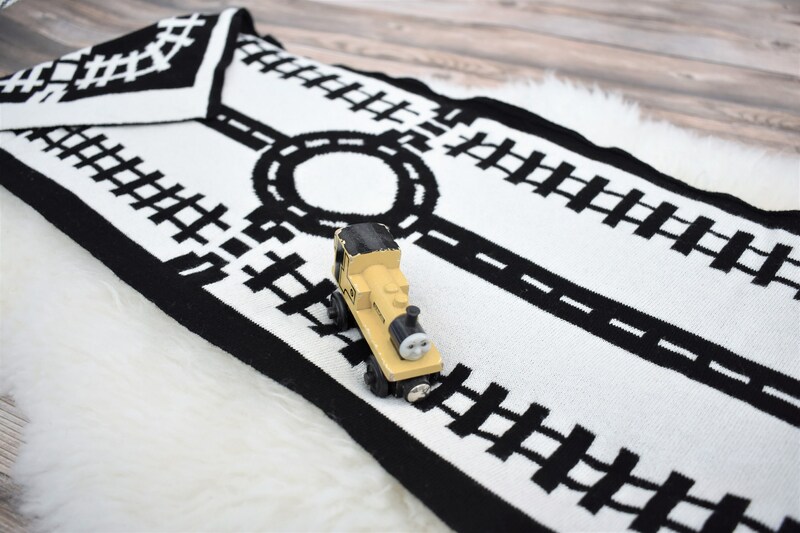 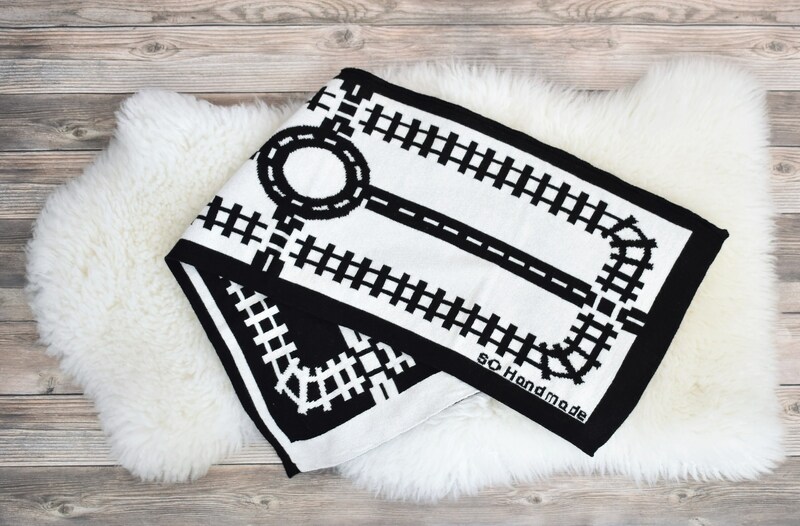 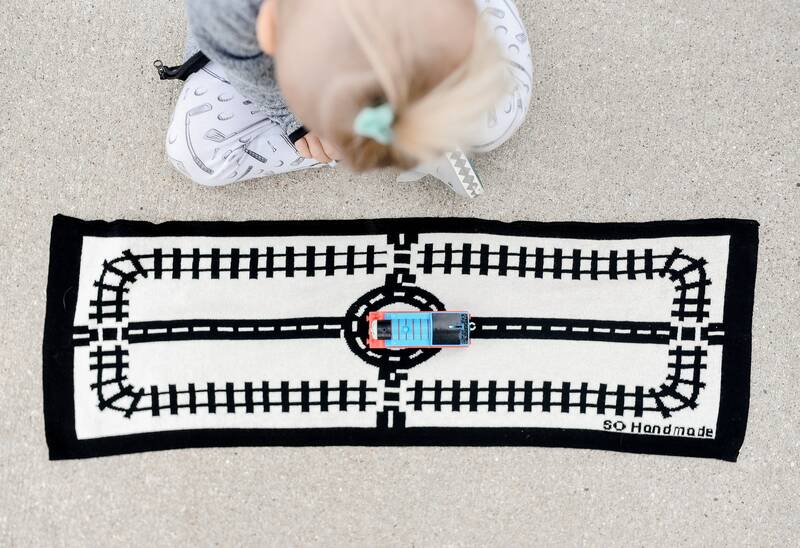 The unisex scarf shows train tracks, a traffic circle and roads in a modern graphic design. 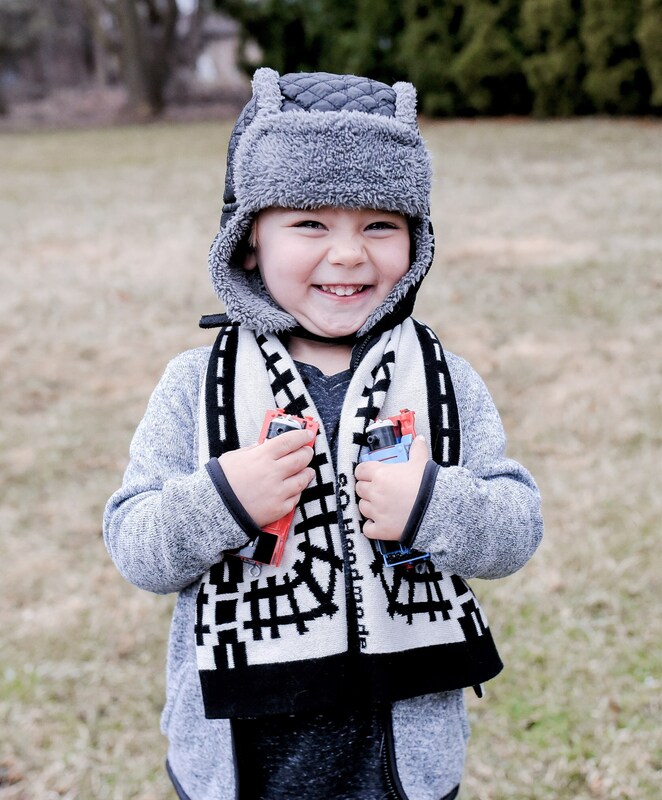 It is worn around the back of the neck and crosses over on the chest.